Welcome to the beautiful world of Bible journaling! Are you ready to learn how to Bible journal in 3 easy steps? My name is Amanda Schenkenberger (creator of Move the Mountains) and I’m here to help you get started in learning how to Bible journal! Are you new to Bible journaling or did you just get your first journaling Bible and you need to know where to start? Even though you may feel overwhelmed with how to Bible journal because of all the possibilities, Bible journaling is actually very simple once you’ve answered a few questions. It is writing, painting, doodling, poetry, sketching, and more. You can use it to hear God, to learn how to be led by the Holy Spirit, to allow Jesus to heal a broken heart, to begin an adventure with God, to fall more in love with His Word, and so much more. 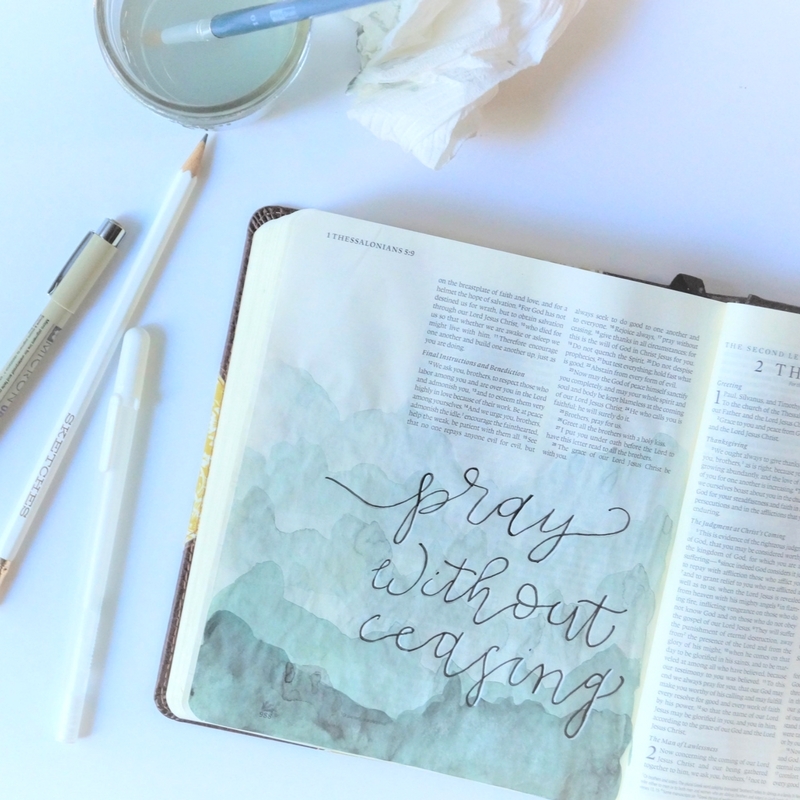 Bible journaling is more than you dreamed but it is more simple than you think. Bible journaling is about God, His Word, and you. It limitless and freeing, but before you get to that stage, you are probably going to need some guidelines. Paper, pen or pencil, and any Bible. Yep, that is seriously it! Is a journaling Bible nice to have to Bible journal? Of course it is! But all you need is paper and a writing utensil, you can even use a Bible app if you don’t have a physical Bible! However, I LOVE my journaling Bible. I used to journal my thoughts and doodles in random journals and I would have to search high and low if I wanted to review a memory or mediation of God’s Word, but with a journaling Bible, all of my heart to hearts with God are kept in one beautiful place, next to the very words that inspired them. If you would like to see the journaling Bibles Move the Mountains offer, please click here. Are you ready to learn how to Bible journal?! If you struggled with this step and you really want to begin to hear God more clearly, I have a Bible study titled, “Hearing God” that uses writing focused Bible journaling to learn how to tune into His voice! You can check out the study by clicking here! Step 2: Pick a devotional or Bible study to get you started. I have many Bible journaling challenges for you to choose from! My wonderful friend Angie Gordon from Gathered & Sown, helped me created the 31 Day Free Bible Journaling eCourse Challenge that is perfect for beginners in learning how to Bible journal. You will receive an email every day for 31 days to teach you about Bible journaling. We created short videos that have written and artistic prompts to get you started all based in the Word of God! To sign up for the Free 31 Day Bible Journaling eCourse Challenge, click here! If every day seems a bit much for you, I also offer a free 8 week series called Breathe out Grace that was created for Tuesdays to Create. Every week of the series you will receive a video in your email with a heart focused lesson and a free printable. Most of the videos also have guided art tutorials! 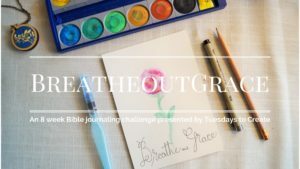 To sign up for Breathe out Grace, click here! Monthly, I also create a free Bible journaling challenge called Tuesdays to Create. It is designed for Bible journaling beginners and is also delivered via email. 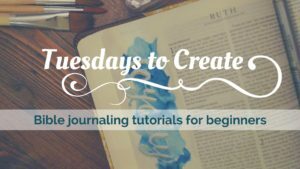 Tuesdays to Create has a devotional portion as well as an art tutorial with every video. This is also a great way to stay up to date with what is new in the Bible journaling world! 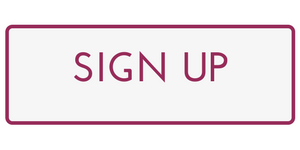 To sign up for the monthly topical study for Tuesdays to Create, click here! These are all free options for you to get started in in learning how to Bible journal! We always start with God’s Word and teach a different element of Bible journaling alongside the Word. Many women also like to pick and choose what they would like to learn, so visiting my YouTube channel might be very helpful! Click here to see my YouTube channel. If you are currently in the midst of a devotional, you can also keep using that and just tailor it to the Bible journaling style you like. Many women have found the “Jesus Calling” devotional helpful for Bible journaling as well. Step 3: Set aside at least 15 minutes to get into God’s Word uninterrupted. Use the Bible journaling option that speaks to you the most! Yes, God deserves your full attention. This can be hard for most women, whether you’re are a mom or single, women are just busy. We have to take the time and slow down for God so that He can speak to us, pour into us, and mend us. Even if we are fully mature Christian women and need none of that, God deserves the first fruits of our energy. What works best for me is getting up 20 minutes earlier every day. I have three little boys who require massive amounts of time and focus. I start by praying in my prayer language while I do my make up and hair and then when I sit down, I’m all ready to hear God. Sometimes we talk business, sometimes we talk motherhood, sometimes He just wants to tell me He loves me and that I’m beautiful. If I don’t have a prompt, I ask Him what He wants me from me that day. Whether you are following a devotional or a challenge, I find it is best to set aside the time in the morning. This way the day won’t get away from you and you’ll set the right tone for your day. When I don’t start my day this way, my heart’s posture does not line up with God’s Word and my perspective is put through a grumpy filter instead if a God filter. Establishing this habit is not necessarily easy, it takes discipline and that isn’t something taught well in our culture. But ultimately, what is more valuable, God or sleep? With all that being said, are you ready? Bible journaling for the first time is like trying to convince yourself to jump into a slightly chilly pool: It is a little intimidating and you might be dazed at first but you’ll soon be splashing around and trying all sorts of dives! So, what are your Bible journaling plans?! Did a certain method speak to you? Are you going to try one of my Bible journaling challenges? Please share in the comments below what you’ve decided to do to help other women such as yourself get started! I pick a Bible verse and draw what it says to me. Choose colors and word I want to express regarding the Bible verse. I love you! You are a lot like me, a visual sort of thinker/creative. Thanks for sharing your tip! I am excited about getting started…would love to share with my daughter, whom loves to draw. I think this would encourage her to be in God’s word! Hi Linda! I’m glad you’re excited! That is good to hear about your daughter, God can really drawings inspired by His Word to speak to people, especially the artist! I’ll pray she wants to join you, time in God’s Word with your children is very special! My mother and I took a class at our church on bible journaling. We felt an immediate connection. I am at the beginning of my life with GOD. Was just baptized in the ocean in May. What a creative way to learn God s word. I am blessed. I too will share with my grandaughter. What a wonderful Christmas gift for a artistic young lady. Welcome to the family, Marcy! 😉 I absolutely LOVE that you were baptized in the ocean, that is awesome! Bible journaling is a great way to connect with God because God is creative, He enjoys self-expression inspired by His Word. After all, we call Him “the Creator”! I’m sure your granddaughter will also love it too! I just ordered my first journaling Bible. As a stay at home mom my life has changed alot in terms of my creative outlet. I am beyond excited to delve into God’s word with my colored pencils in hand. So glad I was led to your Instagram account through a friend! I also want to collect starbucks mugs, i have 4 or 5. Lol. I’m so excited to start bible journaling and studying Gods word. I’m glad you’re excited! Please let me know if you have any questions! Thank you so much for sharing! You are not the only who have been taught that, myself included. Above all, God wants your heart and if Bible journaling helps you get closer to Him, then do it! Please let me know if you would like any help choosing a journaling Bible. You seem so sweet, I bet you’re a great mom! I would love to try this as a Spiritual Activity for seniors at my new job. I’m excited to get started and have been compiling ideas. Any particular verses stand out to you as a place I could start? Please email me. Thank you for your question, it is a great one! I’m sure many people have had this same exact question. Please let me know if you have any more questions and thanks for asking a great one! While the special Bibles with the wide margins make sense as does a separate notebook, I don’t understand when Bible journaling covers up the text. Do you then read another Bible after you cover up parts of it? You have a really good question there! If you can get a Bible where you don’t have to cover up the text, then why do some ladies? Well, there are a couple of reasons, one being it is a mistake. One of my personal goals with Bible journaling is to keep the text readable but sometimes I get so into my art that by the time I realize it, the Word is covered up and I can’t uncover it. I think the biggest reason that ladies choose to cover up the Word is that their journaling Bible is like their art journal, it is a place to get creative with the pages God has breathed life into. In their hearts, covering God’s Word isn’t disrespectful, it is part of worshiping Him. I have yet to meet a lady who covered the Word with their art who didn’t have another Bible to read and study with. It is not that the Word isn’t important to them, it is usually the opposite, it is that this is their creative place to be with Him because they are so inspired by His Word. Thanks for posing a great question, Becca, and please let me know if you have any other questions. You mention “praying in your prayer language”….what does that mean? I have never heard that before. You have a very good question! Allow me to begin by saying that I am a Christian who believes that the gifts of the Spirit are for today, they didn’t go away with the early church (you can find them in 2 Corinthians 12:8-10). Throughout the New Testament, Jesus and the apostles talk about Christians speaking in “new tongues” or a prayer language that is not usually understood by others unless they have the gift of interpreting. I think one of the best explanations for what it is and what it does is found in Romans 8:26-27. If this is a new idea to you, I’ll say that it is quite a hot topic among Christians, you’ll find all sorts of angry Christians for and against it on YouTube. I realize it is a strange concept but Jesus and the early church fathers talk about it, so we ought to as well. Just because it is weird doesn’t mean we should discount the idea. I refer to it as “praying in your prayer language” because the word “tongues” sets people off and makes them all squirmy. What I believe is that Christians can still love Jesus and serve Him with all their hearts and not believe “tongues” is for today but they’re missing a useful element in their toolboxes of faith. Thank you so much for your advise. I need to learn how to write a prayer journal step by step as a beginner. You may kindly assist. I found your site very interesting and will probably sign up for one of your classes. I’m a busy mom as well, but want to spend more time with the Lord! I love coffee as well and would like to collect all the Starbucks cups as well! Haha, coffee lovers unite! I hope you love Bible journaling and let me know if you have any questions! I think I will get a friend to help me stay accountable, plus I know she wants to learn as well. I think that is a great idea! Bible journaling is more fun with friends!